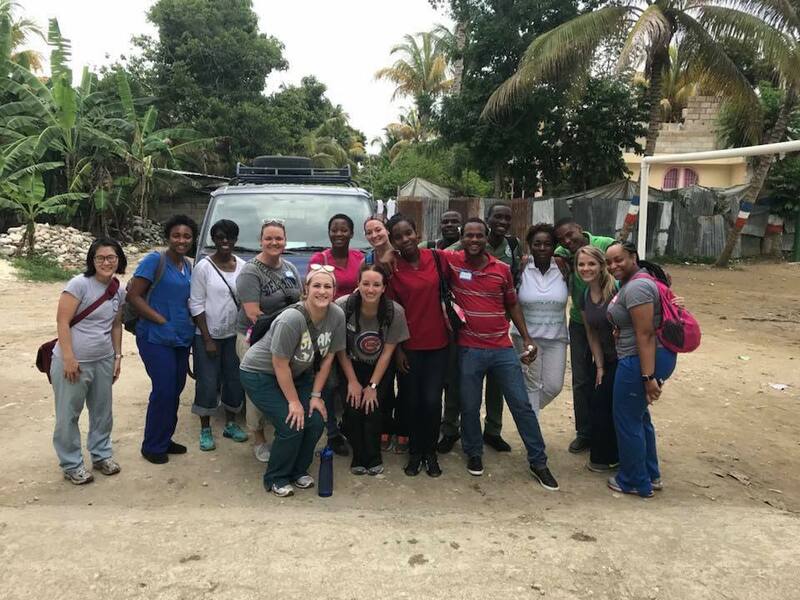 In May 2018, Belmont University physical therapy students Samantha Cook and Julie Simpkins and occupational therapy students Mallory Boozer, Amber Sevier-Hunt, Cara Miller and Tori Hendricks traveled to Leogane, Haiti with College of Health Sciences and Nursing faculty Drs. Elena Wong Espiritu and Sabrina Salvant. The team partnered with Respire Haiti, myLIFEspeaks and Faculte des Sciences de Rehabilitation de Leogane, an organization that has the first OT program in Haiti and only the second program for PT, with the first class scheduled to graduate in December 2019. The service trip included multiple opportunities to learn and interact with other people as Belmont students collaborated with the FSRL students in learning about the similarities and differences in PT and OT in Haiti versus the US. At Respire and myLIFEspeaks, both groups of students built adaptive equipment out of PVC pipe and duct tape, planned and executed activities for children with special needs, provided fall risk assessments and led exercise groups for older adults. Belmont students led a discussion with first year FRSL students on OT and PT, and Espiritu facilitated a case study for the entire group. In partnership with the Belmont School of Physical Therapy, the Sara Walker Foundation, an organization established to honor Belmont physical therapy alumna Sara Pigg Walker (2003) who passed away from colon cancer, has committed to support efforts in Haiti. The Foundation has pledged to fund a scholarship to cover the tuition of a FSRL PT student and sponsor Belmont students for future service trips through their annual Sara Walker 5K run, scheduled for September 23. If you are interested in participating in the 5K run or contributing online, click here.